There is a growing public awareness of genetically modified objects, or GMOs as they are known. While scientific evidence has not yet clearly demonstrated long term negative effects of GMOs on health, the public’s consensus seems clear—we don’t want to wait another 30 years for science to show us something, we want to make our own decisions now! With the massive push for required labeling of genetically modified (GM) products, a similar battle is mounting over another word that will surprise you because it has the exact opposite connotation as scary-sounding “genetically modified” —and couldn’t sound any better if it tried. The new word under fire by organizations seeking more transparent food labeling due to health risk is … “natural.” A recent New York Times article took a closer look at a letter sent by the Grocery Manufacturers Association, who represents the country’s biggest food and beverage companies, to the Food and Drug Administration (FDA). This letter is seeking permission to allow foods that contain GM ingredients to be labelled “natural,” something that would be in gross contrast to a legislation already passed in Connecticut that makes it illegal to label food containing any biotech ingredients as “natural” and is direct opposition to guidelines currently underway for labeling GMO’s. Nice, huh? While marketing research shows that sales of “organic” and “natural” foods are growing at the fastest rate, prominent companies are actually removing (albeit very quietly) the word “natural” from their labels due to lawsuits and major payouts to consumers. Unfortunately as of today the word “natural” is not regulated, which means that it can be used on any processed, refined, unhealthy food’s label! Case in point, one of the most notorious food additives monosodium glutamate (MSG), shown to be a trigger for migraines and ADHD symptoms, sneaks into our foods under the unassuming label “natural flavour.” It’s important for consumers to become aware of the fact that, as the GMO war wages on and its labeling is in the not-so-distant future, other similarly sneaky things are coming into play. 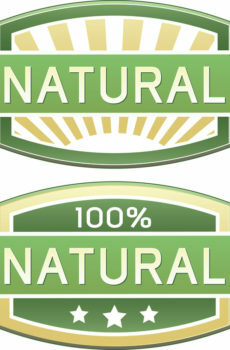 Bottom line: don’t trust “natural” on labels. Greenpeace Canada – GMO foods are a threat to human and environmental health. EWG’s 2014 Shopper’s Guide To Avoiding GE Food. NON GMO Project Working together to ensure the sustained availability of non-GMO food & products.